PDOIS Chairperson Sidia Jatta and Secretary General Halifa Sallah successively echoed this concern Sunday during a news conference held at a hall adjacent to Foroya newspaper headquarter in Ebo town. 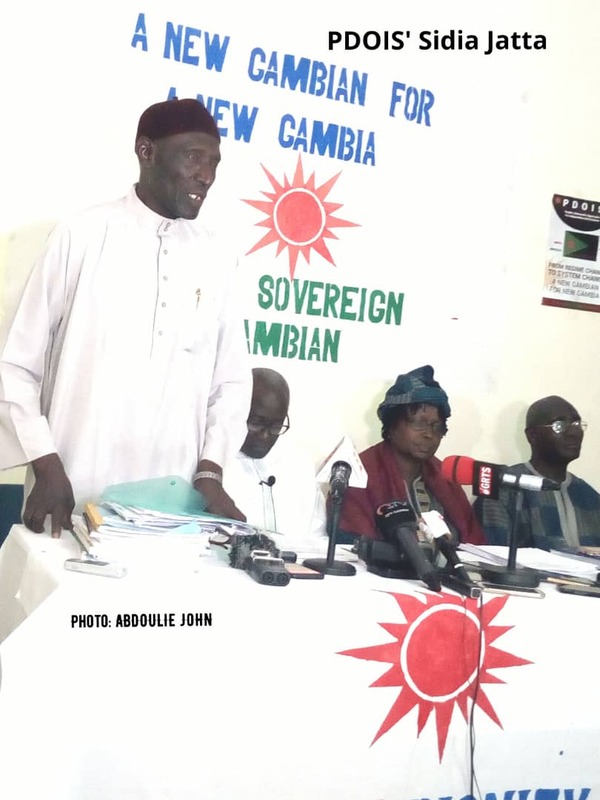 As The Gambia is emerging from 22 years of the Jammeh dictatorship, Mr. Jatta who is also the National Assembly member for Wuli West, said the task that remains to be achieved is system change. He called on Gambians to rededicate themselves to that fundamental task. 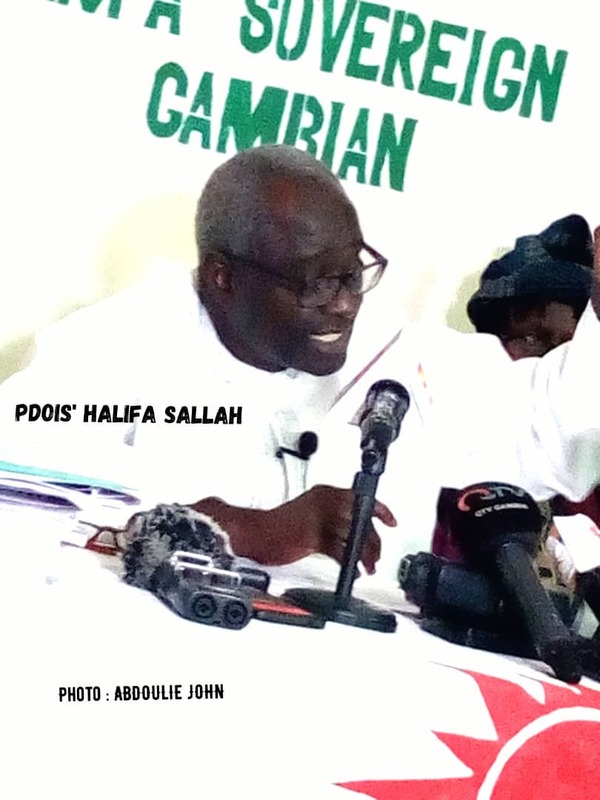 In the run-up to the 2016 Presidential elections, PDOIS was instrumental in mobilising democratic forces in order to put an end to Yahya Jammeh’s two-decade long rule. “They are elected to serve the people, to carry out the fundamental objective of transforming this country,” he said. Also weighing in on the issue of change was Halifa Sallah who reminded the gathering that he had gone back and forth for weeks with the Presidency when he spoke out about the need for system change. He revealed that the just ended Congress has decided to move PDOIS to the next phase, which is system change. “The trajectory of this government is not heading towards changing the system,” he said. As a major stakeholder of the Coalition 2016 that unseated former longtime ruler, the party’s leadership raised eyebrows when they declined to take cabinet posts in the government. “The first phase of national liberation is the sovereignty of the Republic. The second phase is the sovereignty of the people. We cannot bypass that,” PDOIS Secretary General said in an unequivocal way. In an attempt to shut down critics, PDOIS emblematic figure said the decision they took has been proven to be correct. He said the PDOIS has always been enlightening the people and its members therefore felt they can contribute to national development in Parliament by promoting sound laws.